I am fairly cheap. 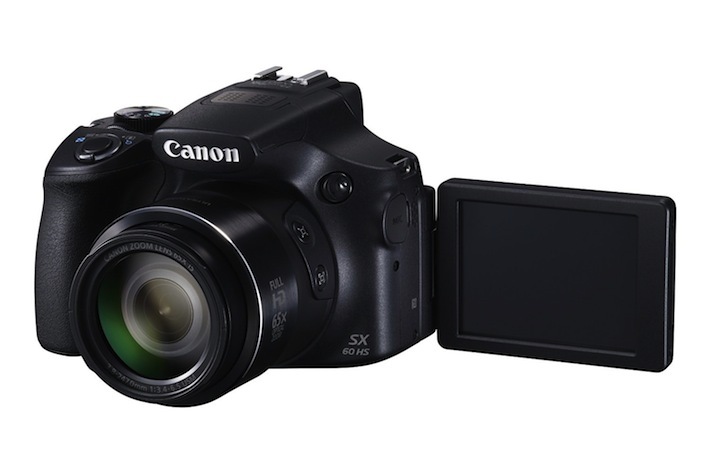 I bought a Canon Powershot SX-60 HS camera today (with 64 Gb card, backup battery and comfortable strap) for $550. I think that is the 2nd most expensive thing I bought this year (an iPad mini I think was more expensive). In the last 5 years the only other thing I can remember buying that was more expensive was a MacBook Pro. I am very happy to have a new camera. I started looking more than 6 month ago, at that time the updated version of the Powershot was already 6 month overdue (with no explanation from Canon) so I decided to wait. I am glad I did (though I was annoyed not to have a new camera for my trip to Hong Kong, Guilin, Yunnan and Shanghai earlier this year. The old camera was ok, if you don’t consider how much better things have progressed in the last 5-10 years. But that is a big thing to ignore. I think the Canon SX line is the most awesome camera for people that want something better than a smart phone (by far the biggest issue for me is zoom though it is also better for various things such as low light, taking lots of photos and video without running out of room on your camera…). The photo shows the LCD screen extended which is actually a nice feature at times (normally I just fold it into the back of the camera). The Powershot SX 60 has an amazing 65x optical zoom (21mm–1365mm). This is just amazing. Much more expensive cameras can’t come close to competing with this. The Canon SX 60 is DSLR-like but not a DSLR. It looks like one but isn’t. It really straddles the area between DSLR and non-DSLR in my opinion. You can watch at Curious Cat Travel Photos and see if you notice a big leap in the quality of the photos now that I have a new camera. Real DSLRs have the advantage of lower f-stop (which helps especially in lower light settings) and a higher image resolution. I can understand people shooting for print benefit from them. But for 99.9% of digital viewing I really don’t think a DSL adds much value (though I am not an expert, I could be wrong). And a huge drawback (in my opinion) for DSLs is you would need at least 2 lenses and likely more) to have the same range as the Canon SX 60. Decent feature, f-stop: 3.4 to 6.5 aperture range (I wish they would improve this a bit, though honestly it is amazing that a camera can have such a great optical zoom range at all so it is really pushing it to want more. The only thing I don’t like about the camera is the battery. My old camera used regular double A batteries. It was great. If you had a problem you could just pick up extra batteries anywhere in the world. I had rechargeable batteries which worked great. I guess they like having a very small bit of extra space but I think this is a very bad decision. I got one backup battery. As far as I can tell these batteries will last for less time than my previous batteries, I may have to get a 2nd backup battery. Other than that I think it is great. The two areas (other than going back to regular double A batteries) I would like to see improved is f-stop and a larger physical sensor size (which relates to quality as far as I can tell reading about these matters – sensor size is what matter for high quality not megapixels). The 3 inch LCD is very nice, compared to my old one, that is another area where a larger option would be nice. One nice feature is the ability to connect to your smart phone or tablet. This I think can be used to view a larger image (than the 3″ LCD) if you want (I haven’t tried it yet). Reading reviews the ability to autofocus is an issue people that use that feature bring up (it is now adjusting autofocus manually whatever that means compared to the ability to manually focus in SX-50). The other item people might want is GPS, which I don’t think this version has. This entry was posted in electronics and tagged battery, camera, Japan, photos, portable device, technology, wireless by curiouscat. Bookmark the permalink.